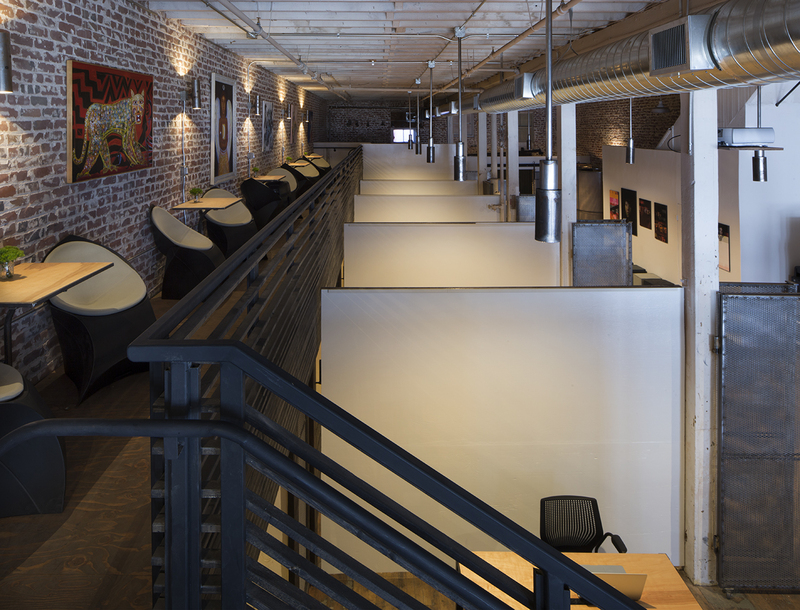 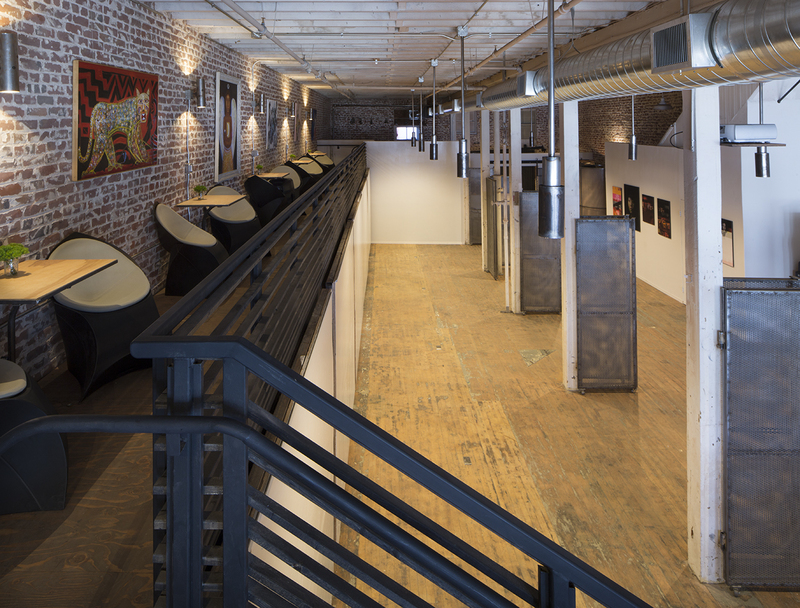 When members of an art collective housed in this space were threatened with eviction, the warehouse was leased by a local arts supporter and philanthropist. 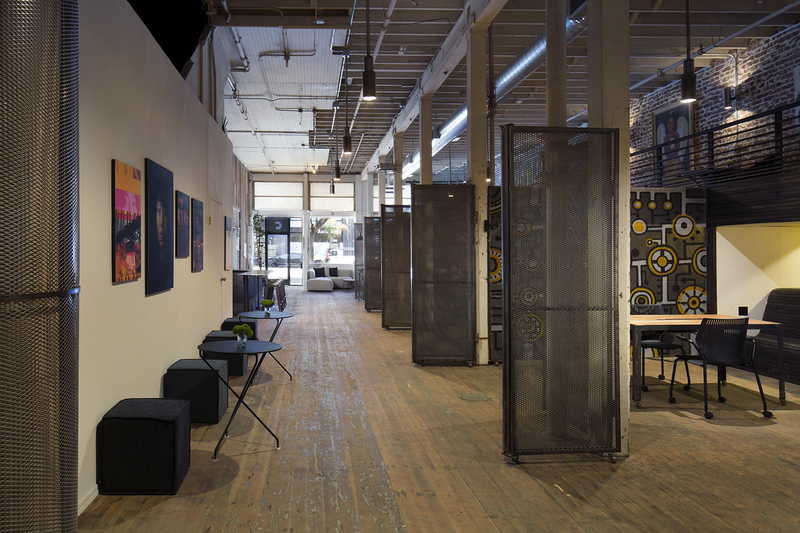 He saw in this space the potential to cultivate opportunities for local artists within the changing city through Code & Canvas, a shared workspace that brings San Francisco’s tech and art communities together in active conversation with each other. 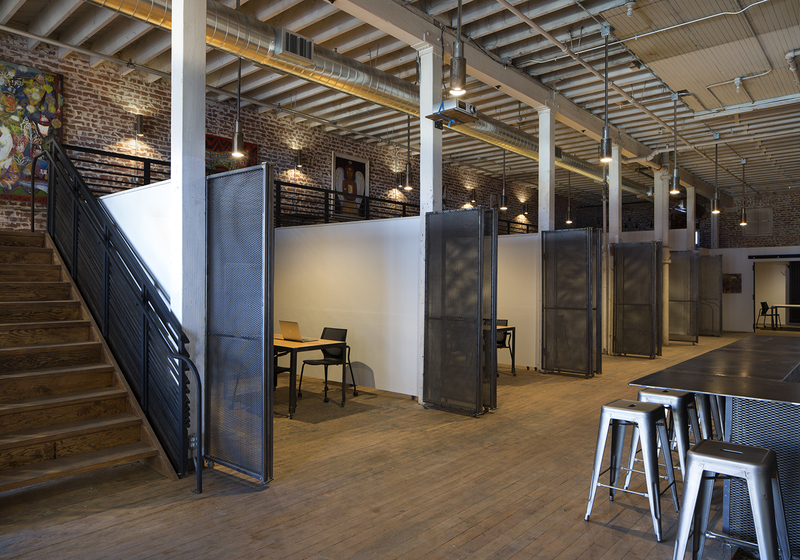 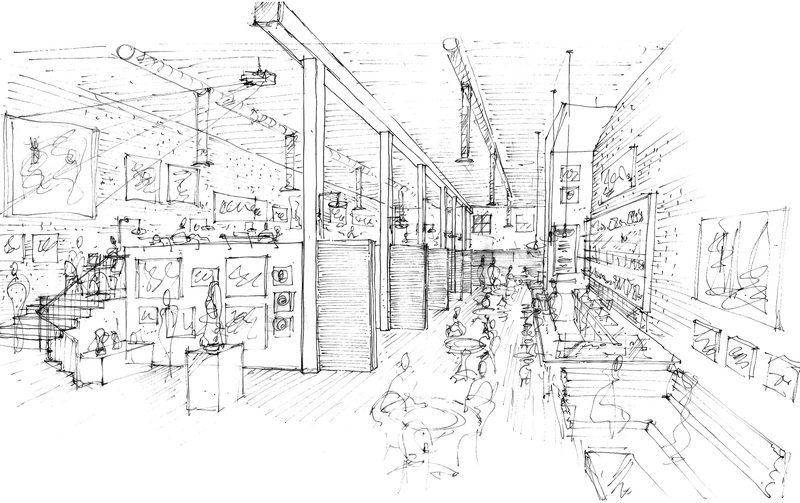 Working within the heavy timber wood frame and brick structure of the warehouse, spaces are as flexible as the organization’s mission, and can be manipulated to allow for large gatherings unimpeded by partitions as well as intimate spaces for creating, coding, or collaborating. 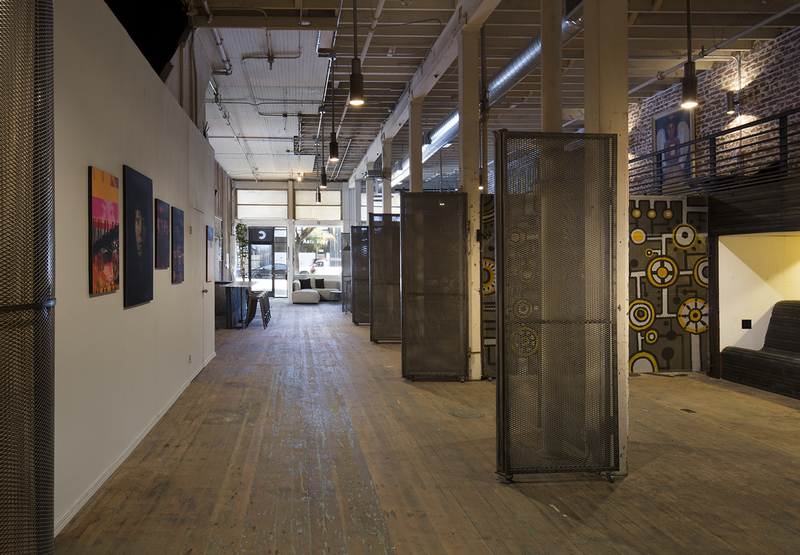 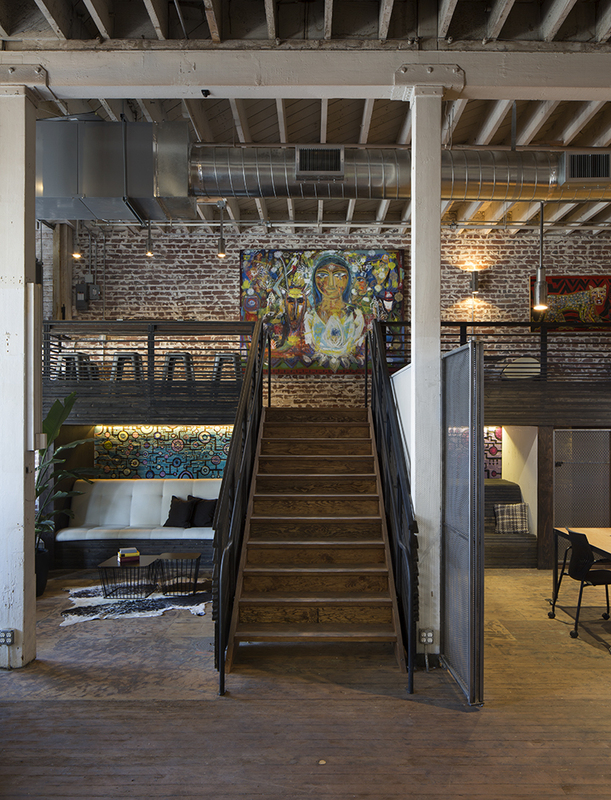 Embracing both the industrial character of the building’s origins and its more recent visual arts heritage, metal screens and the visual texture of exposed brick work in conversation with the large-scale works of art hung on every surface, the work of the resident visual artists.